Written by Magnus Jepson on August 31, 2011 Free. A custom home page featured slider to showcase your work or products with style, all powered by jQuery. Optional slider pagination gives your visitors easy overview. 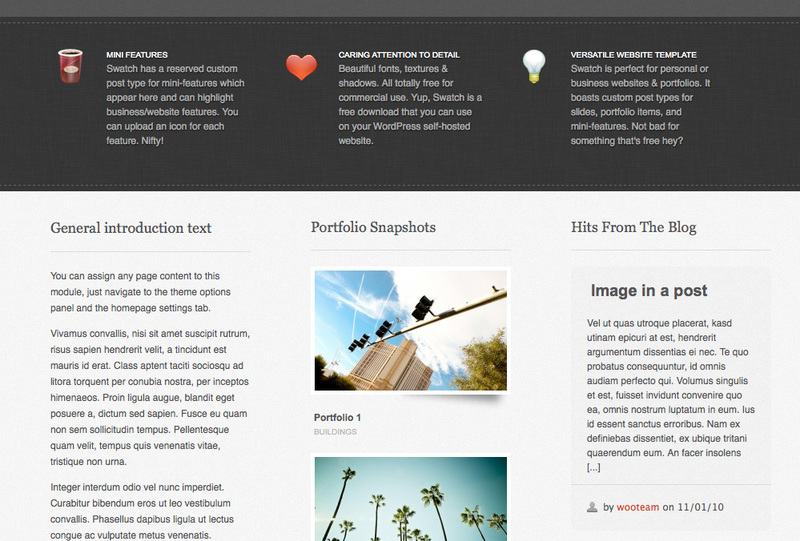 Custom home page layout with mini-features section and three widgetized areas to add custom widgets. 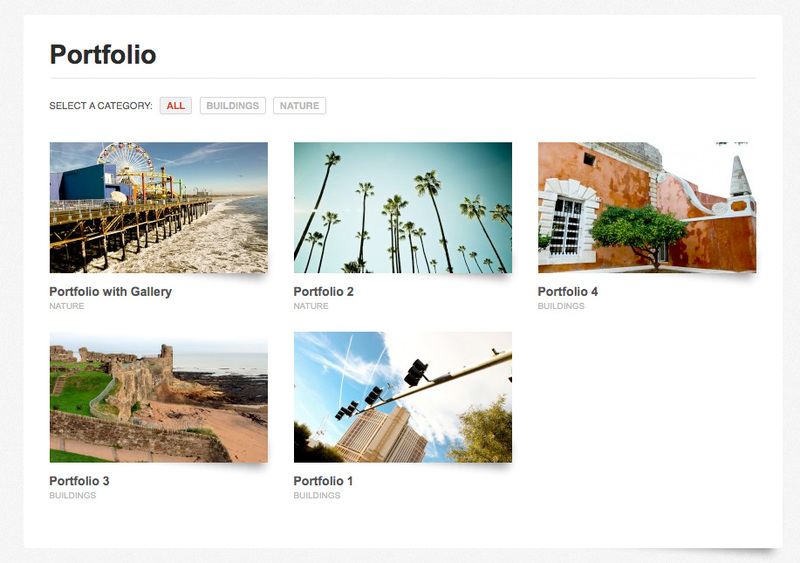 An optional integrated portfolio section driven by custom post types, which utilizies jQuery prettyPhoto script to display your work in a lightbox. The theme takes full advantage of the new custom post types functionality than came with WordPress 3.0, so adding slides, mini-features and portfolio posts is dead easy! 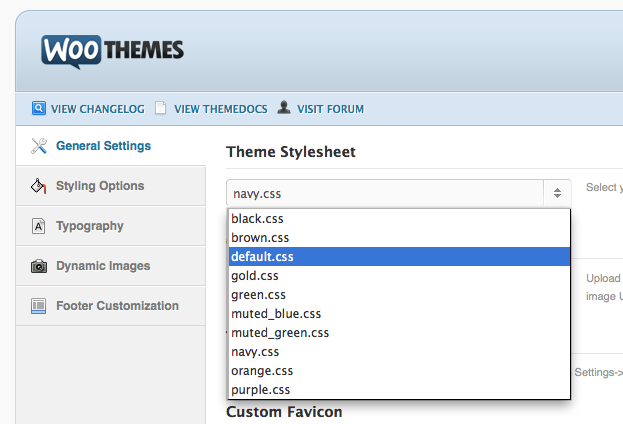 You can customize the typography in the theme to suit, and there is full support for Google Fonts in the font selector. 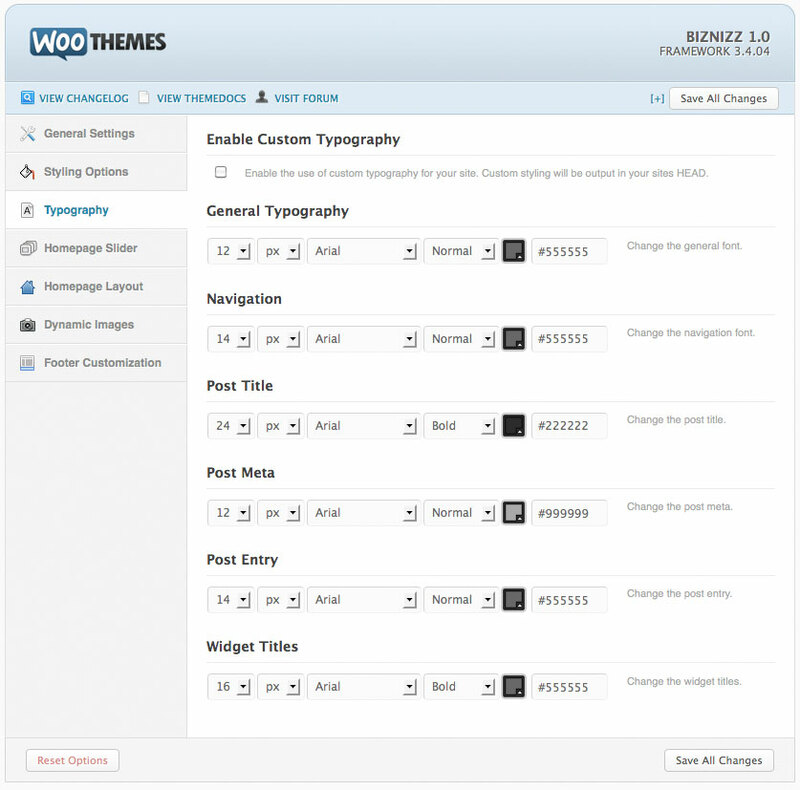 The theme has a widgetized sidebar, 3 widgetized areas on homepage and 0-4 footer widgetized areas, and as always comes with custom Woo Widgets that you can use in these spaces. The theme includes alternative color styles which you can preview in the demo, and also has styling options for background color/image and setting link and button color.